1. Mantronix were a 1980s electro/hip-hop crew lead by Kurtis Mantronik. DJ (and later producer) Kurtis Mantronik, a native of Jamaica, had moved to New York City after residing in Canada in the late 1970s. There, he met Tour? Embden (MC Tee) and the duo made a demo, eventually signing with Sleeping Bag Records. Their debut single, "Fresh is the Word," was a club hit in 1985 and was followed by their eponymous debut album the next year. The LP was one of the first best-selling hip-hop albums in the United Kingdom. DJ (and later producer) Kurtis Mantronik, a native of Jamaica, had moved to New York City after residing in Canada in the late 1970s. There, he met Tour? Embden (MC Tee) and the duo made a demo, eventually signing with Sleeping Bag Records. Their debut single, "Fresh is the Word," was a club hit in 1985 and was followed by their eponymous debut album the next year. The LP was one of the first best-selling hip-hop albums in the United Kingdom. 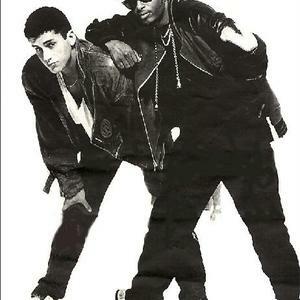 Mantronik went on to work with other groups, including Just-Ice, before releasing Music Madness and signing to Capitol Records in 1987.The Full Effect album followed in 1987. Do You Like...Mantronik came next, and continued the crew's success in the UK. MC Tee then left to join the United States Air Force and was replaced with Bryce Luvah for 1990's This Should Move Ya. One of the song on the album, "Got to Have Your Love," made it to the top 5 on the British music charts. Mantronix released a few more UK best-sellers, including The Incredible Sound Machine before spending time away from the music, until 2000 (see 2000 in music). Kurtis Mantronik remains an active force in pop-oriented electronic music to the present day. 2. Mantronix was also an Amiga musician in late 80s to early 90s.